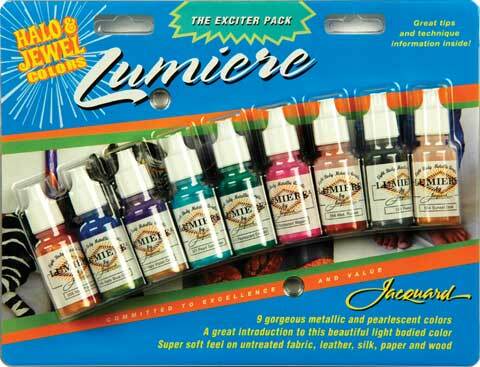 This assortment includes nine Lumiere colors in 1/2 oz. sample sizes. Colors include: halo blue gold, halo pink gold, halo violet gold, metallic russet, pearlescent emerald, pearlescent magenta, pearlescent turquoise, pewter and sunset gold.